RT Sport’s World Cup City Guide Vlog continues to cut through the red tape to bring you authentic content from the city’s streets, squares and stadiums, with the latest vlog instalment exploring the Moscow Metro. 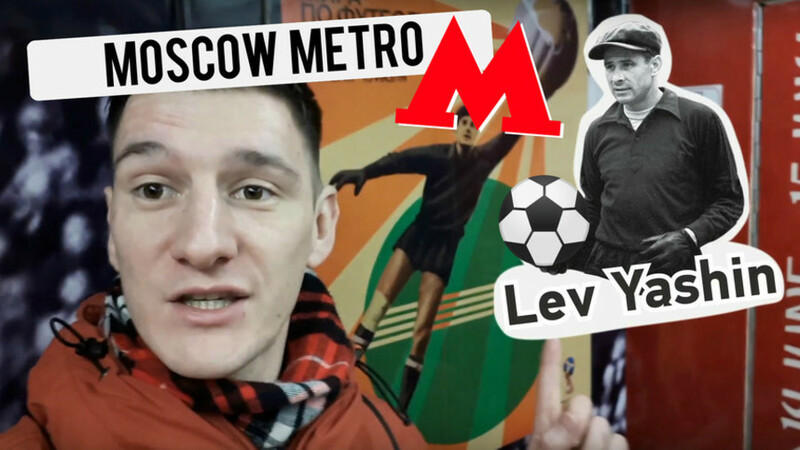 Danny Armstrong goes underground to get acquainted with the specially designed Russia 2018 metro trains that will shuttle football fans from match to match in Moscow from the opening game to the final. Built in 1935, the Moscow Metro serves residents of the Russian capital and its surrounding areas. In November last year, Russia 2018 trains were unveiled before the World Cup Final Draw and feature decorations dedicated to the tournament. RT Sport takes a tour of the metro trains that diverge from its typical artistry and feature a Ballon d’Or winner and Soviet goalkeeping icon, the Hand of God, and our favorite footballing wolf.